About Us - Travel Snow by H.I.S. Travel Snow is a brand of H.I.S., whose core passion is to deliver quality snow travel packages to both corporate and leisure customers at competitive prices, while maintaining the flexibility and first class service that customer’s desire. H.I.S. 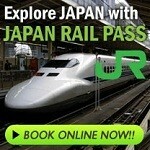 is one of Japan's leading travel organisations. Founded in 1980, it is now one of the most recognised brands with 287 stores in Japan, including 162 branches in 113 cities, in 55 countries globally; with the company becoming listed on the Tokyo Stock Exchange in 2004. The Oceania Region's first office opened in Sydney in 1987, having spread to Melbourne, Brisbane, Perth, Gold Coast, Cairns, Auckland, Nadi and representative offices in Nouméa and Pape'ete. Why book with Travel Snow by H.I.S.? Travel Snow by H.I.S. is your one stop shop for all your travel needs to the snow. Our objective is to continue revolutionising travel to the snow by going beyond the boundaries in pursuit of excellence. At Travel Snow by H.I.S. we pride ourselves in quality customer service which is second to none in the travel industry. No matter how complex your itinerary may be, you can have confidence our travel consultants will be able to assist in delivering the best travel experience. We source and design the best available solutions to match your requirements, by listening and catering to your every need. H.I.S. has become one of the largest vertically integrated travel & tourism companies operating an airline, retail & tour operation divisions and hotels. Our extensive coverage throughout the world ensures we provide you with the latest snow travel information, purchasing strength and broad range of products and services including package tour trips, accommodation and optional day tours.